Palm Sunday/Sunday of the Passion 10:30 a.m.
Maundy Thursday w/ Holy Communion 7:00 p.m.
Sunrise Service w/ Holy Communion 7:30 a.m.
Children’s Easter Egg Hunt 9:30 a.m.
Easter Morning Worship Service 10:30 a.m.
You’ve come to Zion Lutheran Church on the web! We’re glad you’re here and invite you to come to our brick and mortar location at 600 East Aldrich Road, two blocks west of Walgreens on Springfield Avenue. 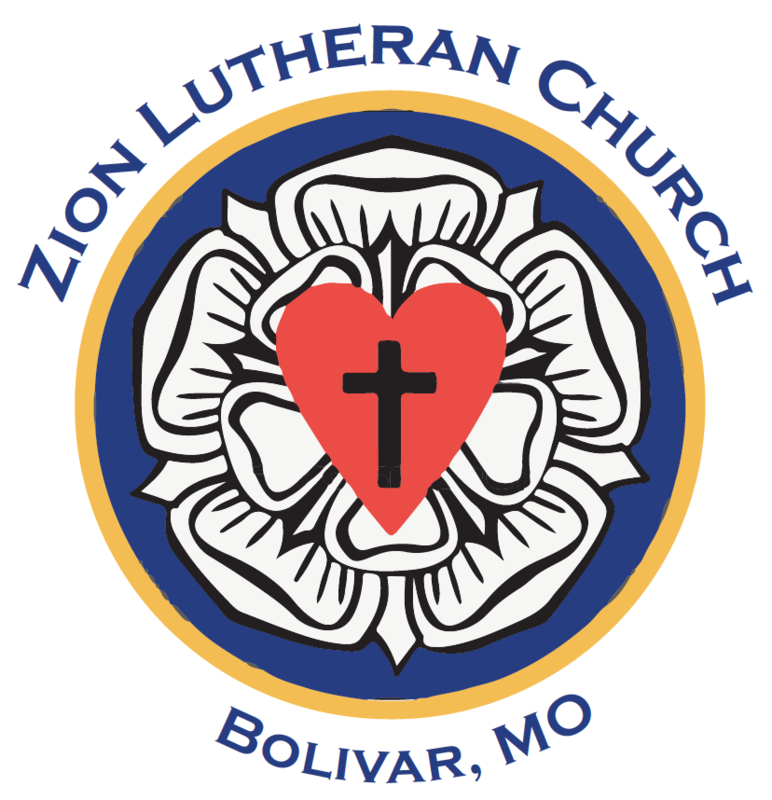 Join with us Sunday mornings at 10:30 a.m. or at Worship on Wednesdays at 7:00 p.m., and on Sunday at 9:15 a.m. come for Sunday School. Be sure to check out our worship page. Thanks for taking the time to visit with us here. By way of introduction, I’m Pastor Tom Rhodes. Look around our site and see how you might fit with us in Hearing, Sharing and Living the Gospel! Therefore God very wisely arranged and appointed things, and instituted the holy sacrament to be administered in the congregation at a place where we can come together, pray, and give thanks to God. We are located at 600 East Aldrich Road, across from Southwest Baptist University and about 2 blocks west of Springfield Avenue (Hwy 83). Church office hours can vary for our administrative assistant. Please call in advance of visiting to ensure the office is staffed.